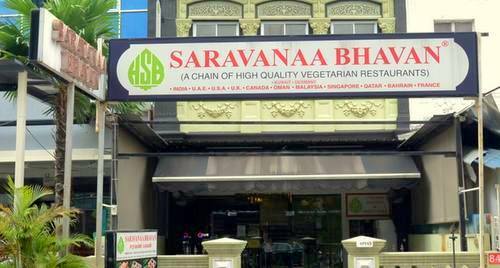 Saravanaa Bhavan Indian restaurant has a network of 10 locations in Singapore, one of which is at 84 Syed Alwi Road. Offering a vegetarian Indian cuisine menu, you can choose your meal from a range of more than 350 alternatives across 10 categories. Highlights on the restaurant’s menu include, for example, Mushroom Fried Rice, Ghee Roast Dosa, Aloo Paneer, as well as Special Biryani. The official Saravanaa Bhavan Facebook page is located at www.facebook.com/saravanaabhavan/. You can also follow the official Saravanaa Bhavan Singapore Instagram account, which in turn is available at www.instagram.com/saravanaabhavansg/.